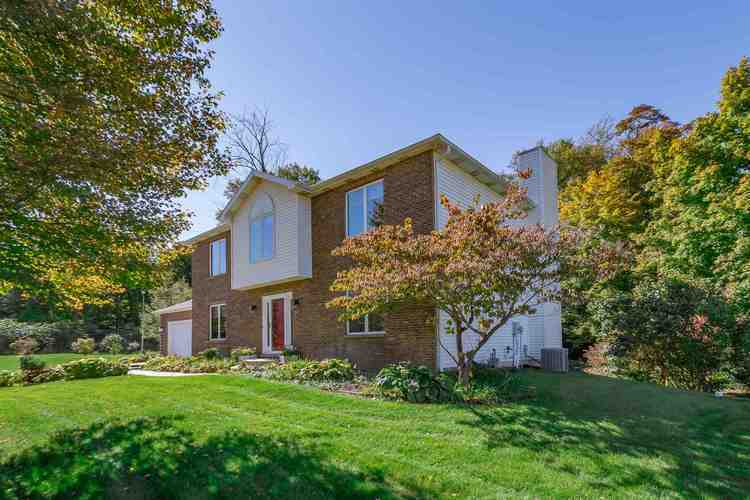 Beautiful and spacious 4 bedroom 2.5 bath home with a gorgeous custom built updated kitchen boasting a double oven, large island with a 6 burner gas cook-top, quartz counter tops and cherry cabinets! Large master bedroom with an updated full bath and walk in closet. Home sits on a large lot with a three tier deck overlooking landscaped as well as natural settings. Pond with waterfall, fire pit and flagstone patio for outdoor enjoyment! Walk out basement, tear off roof (2015) and great location to shopping and restaurants some of the perks! Directions:West on Ireland. South on Linden. Turn right onto Morning Dove Trail.